From Marmot, "We combine 850+ fill goose down and two-layer MemBrain® waterproof fabric with no-a nonsense design ethic to create this extremely lightweight, professional-level bag. For sleeping in rapidly changing mountain conditions in temperatures down to 0° F, this is our lightest, most durable offering." 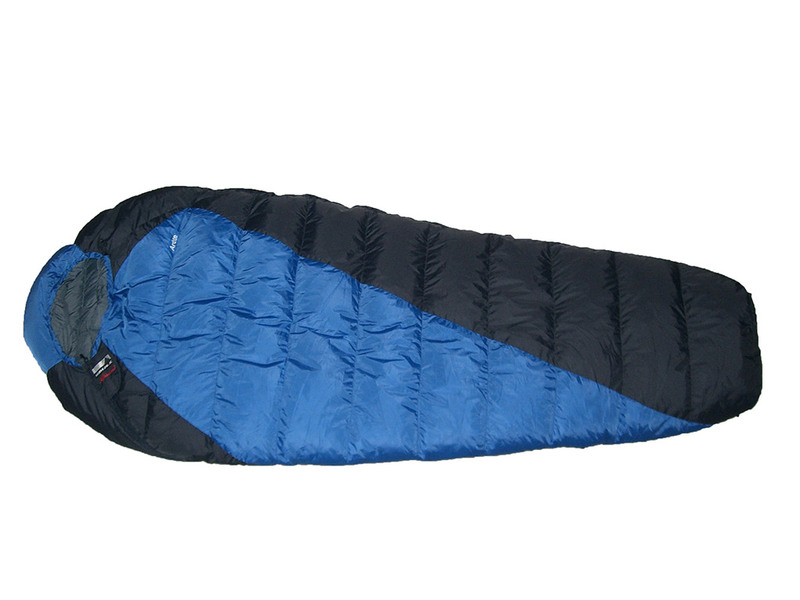 The new Alpinizmo® by High Peak USA line of Latitude sleeping bags feature Cozy Therm™ heat regulating technology for increased warmth and decreased weight. The new lining is designed to radiate heat back to the user while allowing water vapor to pass through and exit the bag. The Latitude 20 is designed to keep users comfortable down to 20°F in a synthetic package that weighs in at less than 2.5 pounds. This mummy bag packs down to a mere 12" x 7.5", making it a great companion on any backpacking adventure. Therm-a-Rest is on the forefront of inflatable mattress technology with the new for 2011 NeoAir™ All Season mattress. 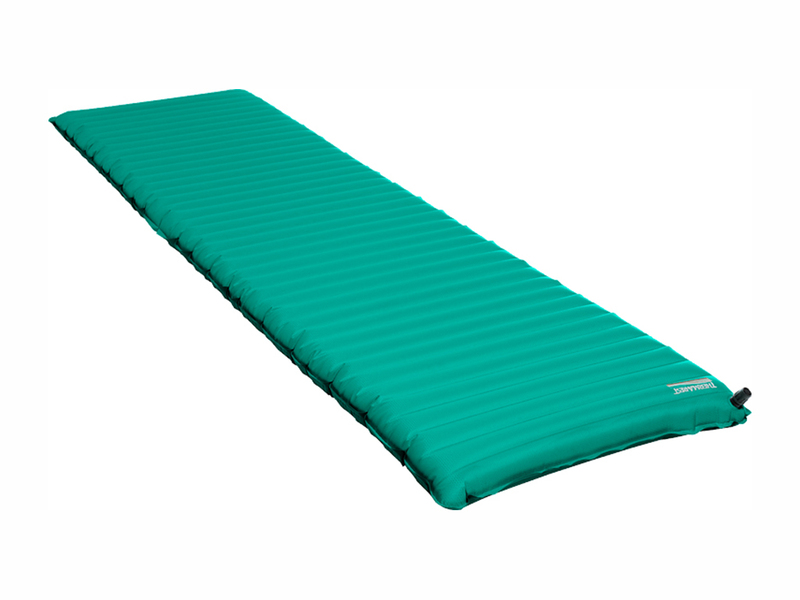 This lightweight, durable, and warm inflatable mattress is designed for comfortable four-season use in the backcountry. The NeoAir™ All Season features patent-pending Triangular Core Matrix™ technology which creates over 100 internal cells and reflective barriers that trap warm air. The result is a lightweight and compact air mattress with an incredibly high R-value. Includes pump sack and repair kit. The Cam-O-Bunk XL by Disc-O-Bed™ is designed for camping and outdoor enthusiasts who need to sleep more campers per tent. This bunk bed cot system is easy to assemble with no tools necessary. 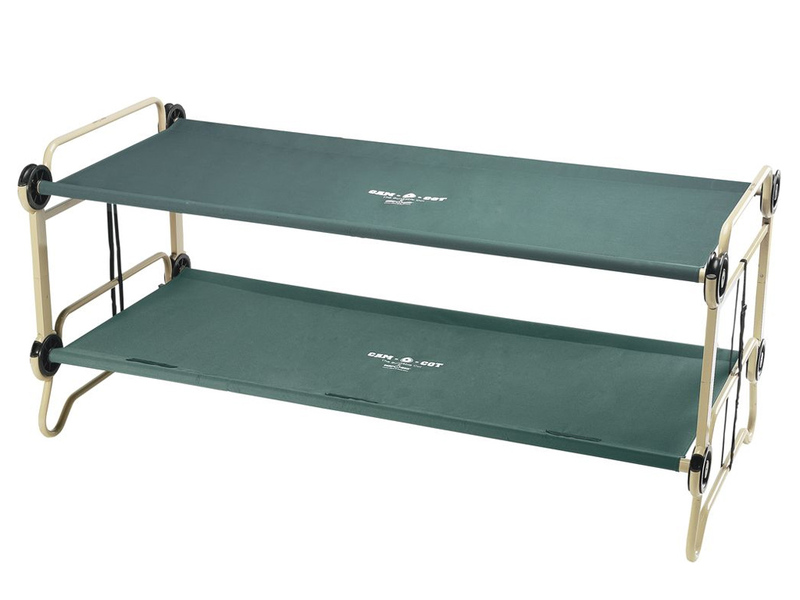 The wider and longer-than-average cots can be used separately or together to form a bunk bed system. Great for tight spaces and can be accessorized for additional comfort. This bag is panned by Marmot as the culmination of their R&D prowess, and the Plasma line is currently their crème de la crème of their ultralight down bags. The main points they tout are super lightweight fabrics used, high fill power down, and a vertical baffling system called Flow Gate Construction. 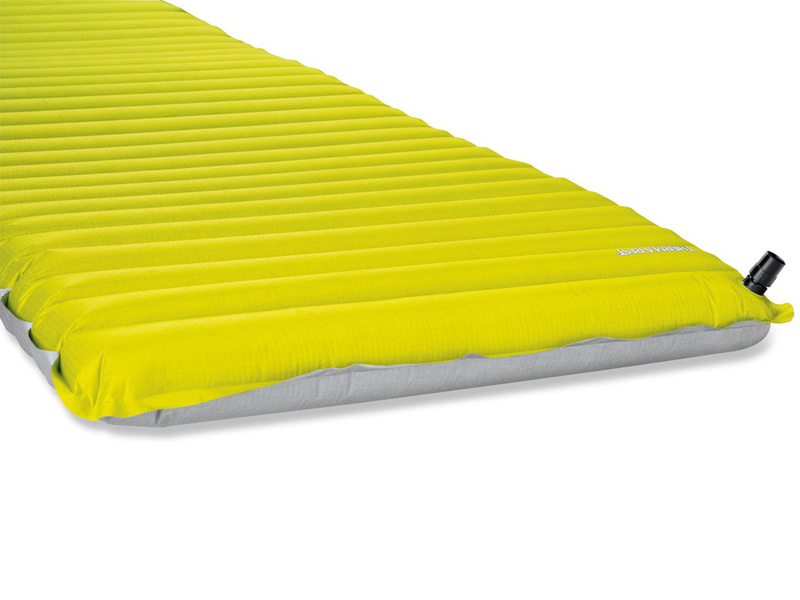 The Therm-a-Rest NeoAir mattress is an ultralight, ultra-packable mattress. It is part of the Fast and Light© series from Therma-a-Rest. It features internal baffling that utilizes a patent-pending "Triangular Core Matrix" to minimize air movement and convective cooling when inflated. Shaving off ounces and increasing the warmth factor, this mattress also incorporates a patent-pending internal reflective barrier that reflects heat back to the body. To save space, these big features pack down to the size of a 1-liter bottle for the space-conscious adventurer. 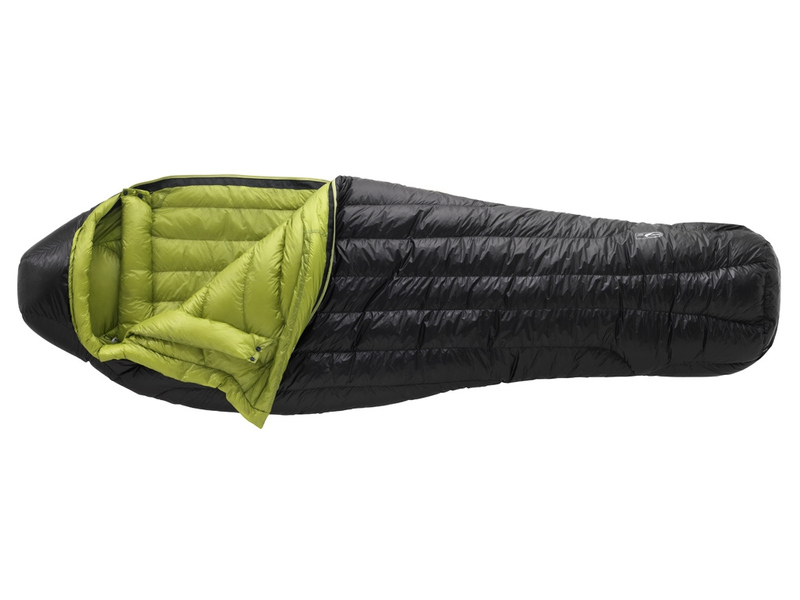 The REI Sub Kilo +20 sleeping bag is a 3-season mummy bag for ultralight adventures. 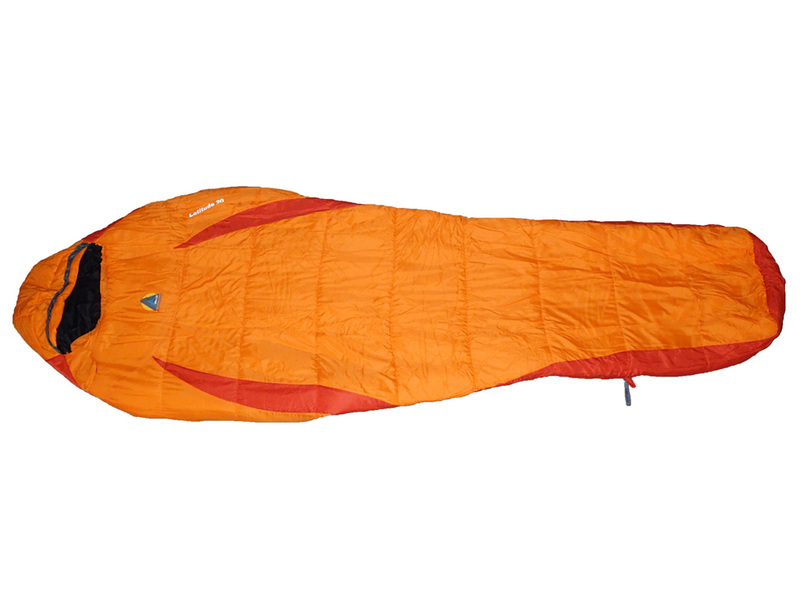 It features a contoured hood, roomy footbox, full-length locking zipper, full-length draft tube and muffler. There is an internal pocket for storing small items like a headlamp or watch. Pad loops provide attachment points to keep your sleeping bag and pad together. Comes with a stuff sack and large cotton storage sack. The Exped Air Pillow is the answer to lightweight sleeping comfort. With one or two breaths, the soft polyester fabric pillow is easily inflated. The pillow has two exclusive FlatValves, one for inflation and another for deflation. It is contoured and higher on one side than the other to accommodate different sleeping positions. 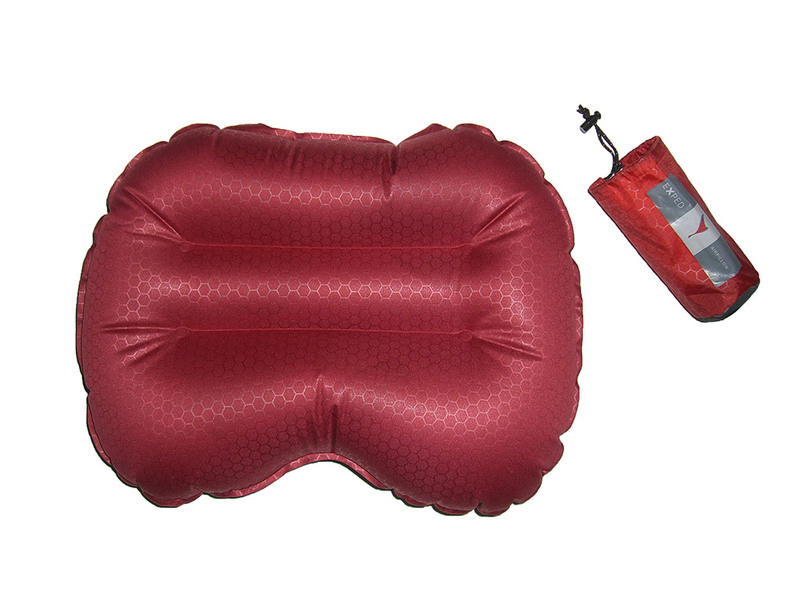 Two loops allow the pillow to be attached to Exped inflatable sleeping pads. Exped also includes a stuff sack and repair kit with the Air Pillow. 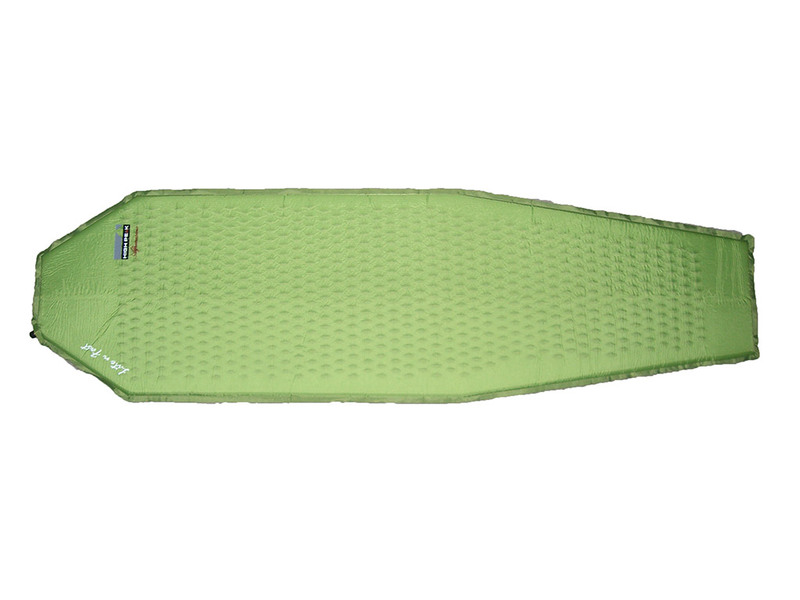 The Lite n Fast self-inflatable sleeping pad by High Peak is another item in their new Alpinismo line of lightweight gear. 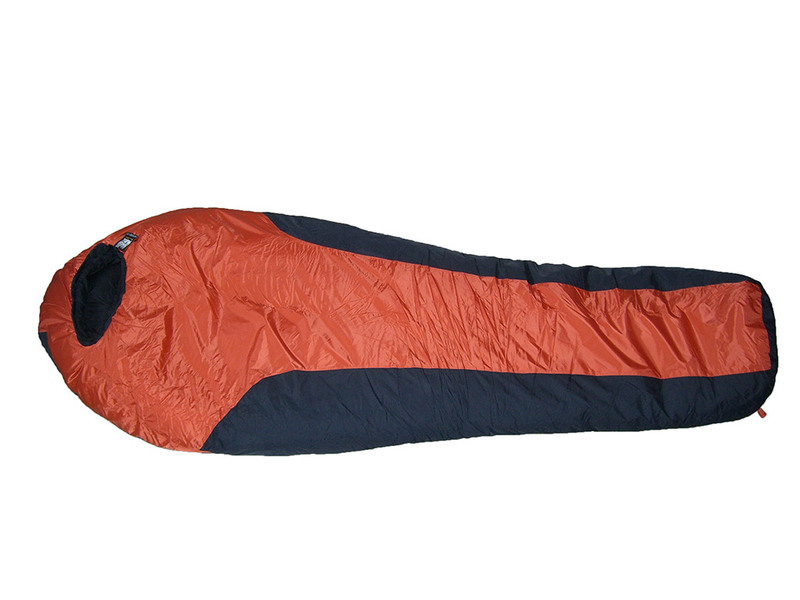 This sleeping pad packs down small into a 6 inch by 11 inch sack. The Lite n Fast sports a mummy bag-inspired shape to cut about 4 ounces off the total weight. 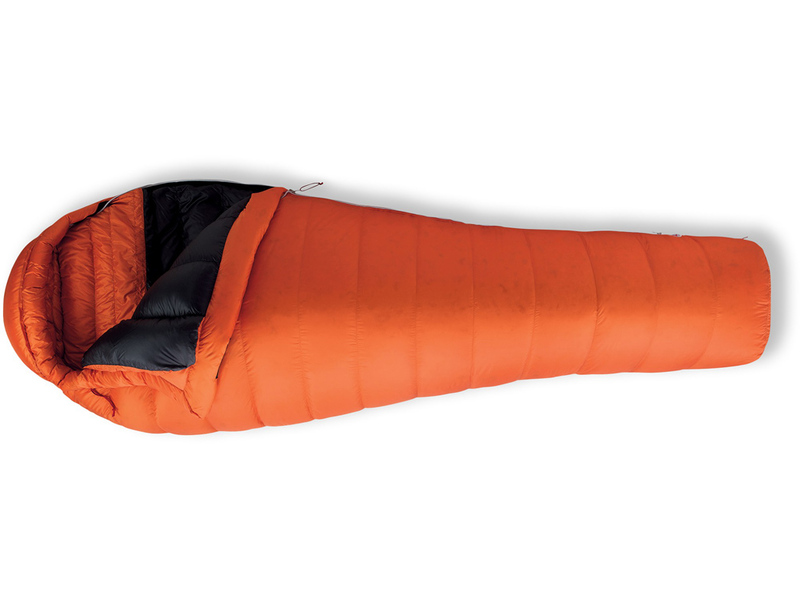 The Arête 0°F mummy bag by High Peak is another item in the their new Alpinismo line of lightweight gear. This 650 goose down-filled bag packs into a small 15.4 inch by 7 inch compression sack for easy carry in any backpack. The Arete is lightweight with a shell made of water repellent and windproof Cire nylon. In addition to the draw string closure on the hood, there is a chest tube with pull cord to seal out the cold. The Mt. 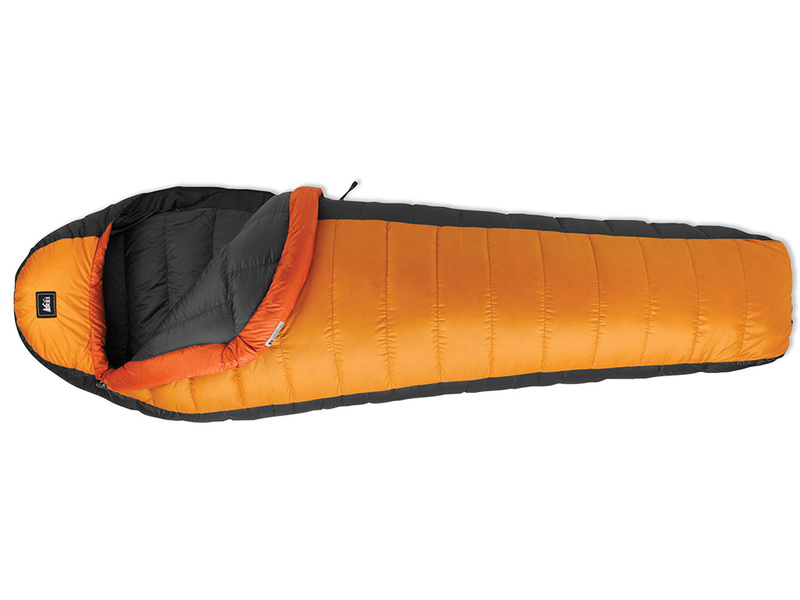 Rainier -20°F mummy bag by High Peak is a waterproof, windproof, and breathable sleeping bag designed for extreme adventures. This orange and black (think Oregon State Beavers) mummy bag packs down to about 11 inches by 16 inches in the included compression sack.